In the past, Tour Edge and their EXOTICS line of fairway woods were viewed not only as revolutionary, but perhaps the originators in what a distance based fairway could be. In recent years however, although Tour Edge has never stopped innovating, it seemed like other companies were catching up and seizing a piece of the distance crown, if for no other reason than the marketing machines that are out there. With that said, since the release of the EX10 (THP reviewed here), and now the CBX, the buzz is back, but what’s more important, they are delivering in a notable way. THP received the CBX Fairway from the EXOTICS line in the 15° 3-Wood version paired with the Project X HZRDUS Yellow shaft in 6.0 for this review. When Tour Edge engineers introduced their first Exotics fairway wood, they created new benchmarks for distance and power in a fairway wood. 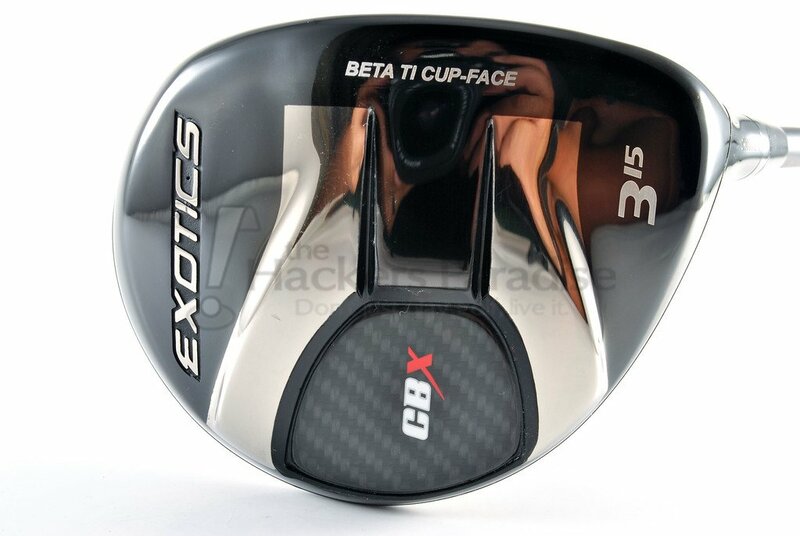 With the CBX, Exotics has once again taken distance gains to another level to bring unprecedented power to your game. Combo-brazing (a weldless process) a Beta Titanium cup face to a hypersteel body, the engine of the CBX fairway wood is this combination of superior multi-materials and construction. As a result of this precise engineering, the CBX is a spin-killing distance machine – and the proof is in the numbers. Independent testing proves the CBX fairway wood outdistances its most popular competitors an average of over 16 yards. Tour Edge has never shied away from pushing boundaries when it comes to their EXOTICS line. In the past, that has always been by pushing the limits of what can be done with metals, which they refer to as their “material Advantage”. 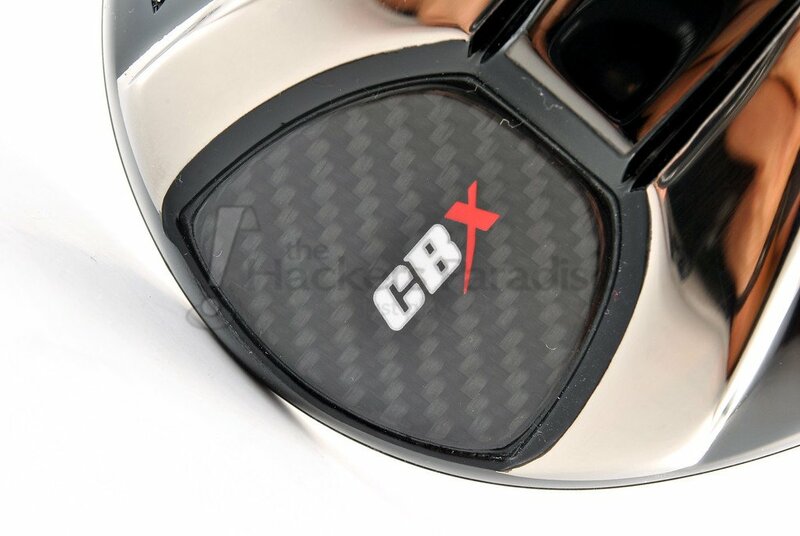 The CBX Fairways however, feature Carbon Sole Weighting, a new addition for Tour Edge which is the application of carbon fiber in the rear portion of the sole allowing them to shift the weight savings to push the CG more forward and low, meaning a definitively low spin clubhead. Combine that feature with the continuation of the Beta Ti Cup Face featuring Variable Face Thickness allowing for a super thin face that will flex as much as possible with the singular goal of producing massive ballspeeds, and you have the potential for what Tour Edge EXOTICS fairways have always been known for, pure distance. The other big technology integrated into the CBX Fairway is the Speed Ramp Sole, which like all other sole variations out there, intends to create more off-the-deck playability. Because the fairway wood is for most amateurs the hardest club to hit off the turf, the ability to create a surface that will limit digging and twisting while allowing the fairway to maintain as much speed as possible is critical. Recently, Tour Edge had been utilizing the “Slip-Stream” sole which features multiple undulating “ridges” on the portion of the sole that makes contact with the ground. With the new CBX, the Slip-Stream design was studied and from that they created the Speed Ramp which aims to offer the same effectiveness thanks to its perimeter size and “wedge” like shape. Tour Edge EXOTICS fairways are always easily recognizable, in a good way. The profile/shape is clean as it features balance all the way around that in turn leaves a very “business” like sensation when placed at address. From the top, the CBX Fairways have the same deep gloss black finish as their EX10 counterparts and it looks just as good, the CBX however is without any alignment aid. The sole design showcases the key tech well with a contrasting chrome finish on the Speed Ramp Sole and allowing the Carbon Fiber to show through on the rear cavity. The inclusion of Carbon Fiber into the design cannot be undersold and Tour Edge did well by trying to draw eyes to it. 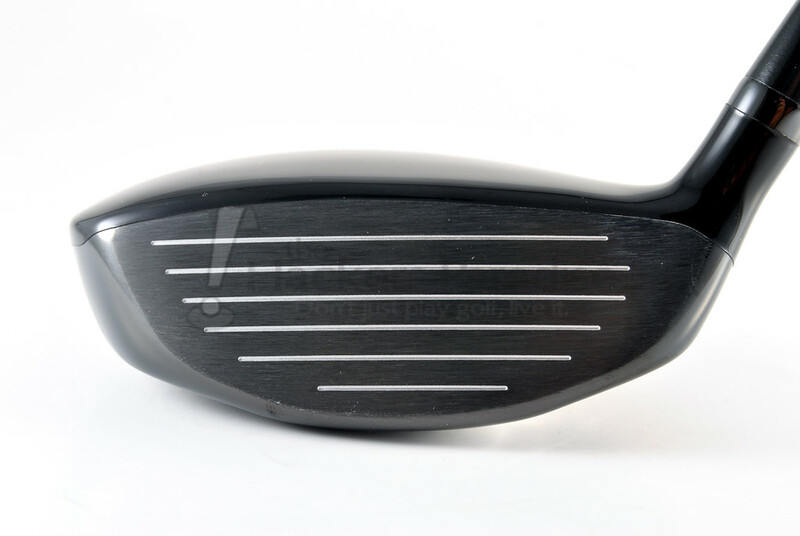 The face features a slightly more hexagonal shape to it, particularly as it nears the sole, and the depth is definitely on the deeper side despite the smaller overall club footprint. 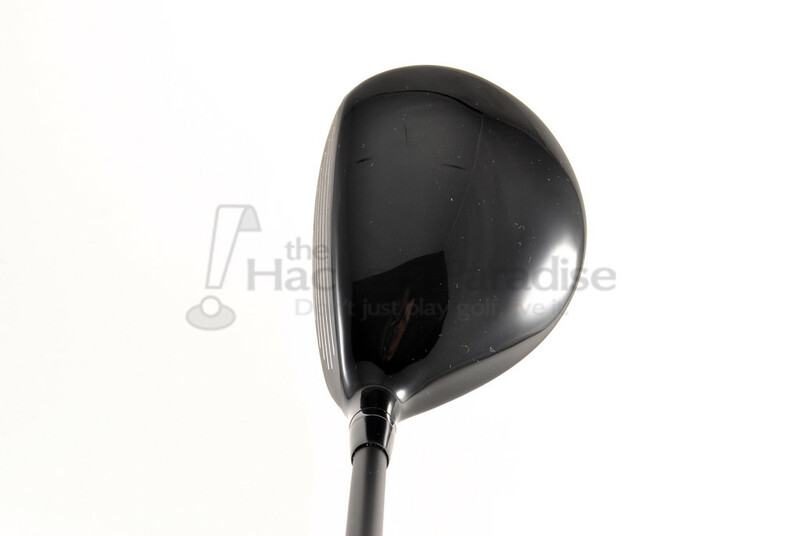 It is also worth noting that it does sit slightly open in the opinion of this reviewer, but that is also unsurprising given this was designed to be a club that will levitate towards the stronger swingers. Add in the best headcover we have seen from Tour Edge, a premium stock grip in the Lamkin Z5, and several top-notch stock shaft offerings like the HZRDUS Yellow that THP received, and in-hand this is a very complete design. After working with the CBX Fairway, there is no doubt in my mind that it really rounds out the Tour Edge lineup of metalwoods by providing a true “better players” option. That isn’t said to scare anyone away or dismiss the EX10 line, its simply that the CBX is the lowest spinning and launching fairway this reviewer has hit. Additionally, it’s a smaller footprint and that will be immediately noticed by golfers who have acclimated to the trend of ever-growing fairway woods, and will also make golfers who like to work the ball with their fairways lick their chops. The CBX is also a glued head like the EX10’s were, however, there is no moveable weight adjustability here, it is low and forward CG all the way. 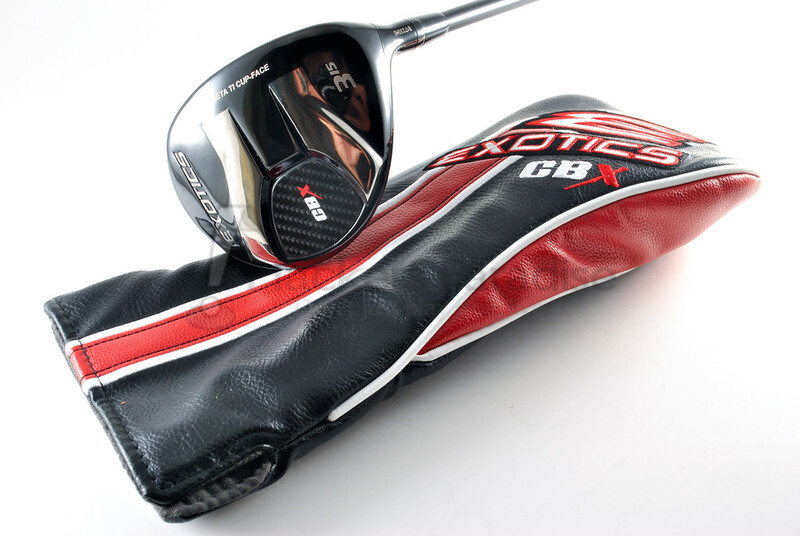 The sound and feel of the EXOTICS CBX is going to please a lot of golfers who seek out a more solid feedback. With the addition of Carbon Fiber into the design, the acoustics have moved away from the Titanium “tink” of the EX10 and many other Tour Edge fairways. Honestly, it’s situated right between the full metal and carbon heavy designs, it avoids the sharpness of the high pitch, but it also isn’t a deadened and blurred sensation that seems to be the trend with the majority of fairways focused on composite materials first, and everything else second. In a nutshell? Solid feel, crisp sound, and ample feedback. During testing the CBX was used in coordination with a Foresight launch monitor, both on course and on range, in order to provide the most accurate presentation of performance possible where spin, speed, launch, and the likes are concerned. Tour Edge has not at all been shy about the CBX in their marketing, putting testing data of it versus three other extremely popular offerings for the world to see. In those they claim a 2.6-2.9 ball speed advantage as well as 237-939 RPM’s lower spin, truly daunting numbers. As is always the case when information like that comes from a company, it brings questions as to the methodology of the test, because of that this we came in with a prime focus of seeing just what the head was capable of. As a higher swing speed player, the data tracked on Foresight was fairly surprising as it very much classifies this as a low spin and low launch monster in the correct hands. The average ball speed seen from the tee throughout all of testing was 155.1 MPH with the peak ball speed created being 158.2 which is in the driver range for this reviewer. Additionally, this has been referred to as a “spin killer” at times by Tour Edge and that too proved accurate with the final average testing spin rates situating to 2187 RPM’s and a launch average of 11.1 degrees. Comparatively, it was hit next to the EXOTICS EX10 Beta and the CBX was on average 2.7 MPH faster in ball speed, 461 RPM lower in spin, and 2.4 degrees lower in launch. What does all this mean? Simply that there is performance behind the talk and this is 100% a low launch and low spin fairway. 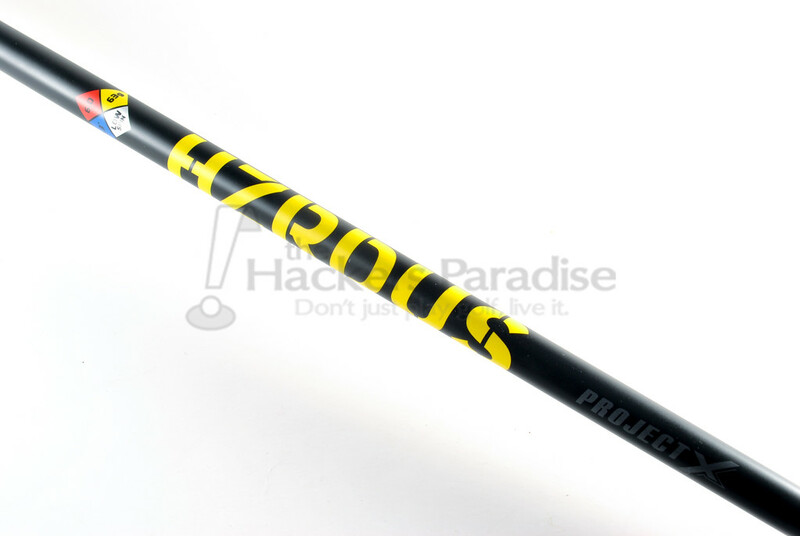 The testing was done with the HZRDUS Yellow as well which is classified to spin and launch more than its Yellow or Black counterparts which are also available as stock options, meaning it has the potential to be even lower in spin and launch, but with borderline incredible ball speed potential. Ball speeds like those seen in testing were shocking to say the least, but there is still a playability level to be considered when it comes to any design like this. Being that this is such a low spin design, the immediate thought is that it is a dream for higher spin players, but it should also be remembered that with a low forward CG like this the ability to put solid and consistent swings on the ball will be an important aspect as well. It should come as no surprise that the ball speed retention on misses with the CBX are lower than that of its EX10 Beta brethren. More than speed, the lower launch is also something that will make it more accessible to the stronger swingers as well, although obviously there are always those outside that real that can benefit from such traits as well in specific circumstances. More than that, the head sets up neutral to open and has a fade bias to it, something unsurprising given the overall profile. Where the club does show solid versatility though is off the deck, the speed-ramp sole may not be as fancy looking as the slip-stream was, but it works just as well and does a tremendous job in preventing twisting from a variety of lies. Again though, those seeking or needing lower launch will get the most out of this one in that area too, as for this reviewer, as a low launcher by nature, the CBX proved to be too low to actively hit into greens. Keep in mind that as always, fit matters! Between the XJ1, EX10, and now the CBX lines of fairways, Tour Edge has gotten their momentum back and then some. These are the types of performance potential that devout supporters of the company have come to expect, and at the same time an all-encompassing lineup that will win over new golfers. The CBX itself is an important step for Tour Edge’s EXOTICS line, although the amount utilized is small, the fact that they have now ventured into composite materials within their Titanium traditions shows how serious they are at achieving performance, and with the CBX they have created a club which is going to be a monster in the hands of many. It may not be the most forgiving fairway, but it just might be the hottest faced. The Tour Edge EXOTICS CBX fairway woods are priced at $349.99 and more on it as well as everything else the company offers offers can be found at www.TourEdge.com. Great review James. Sounds like a very solid offering. Anytime the word “monster” is used in describing a club, one has to stop and take notice. Would love to try one paired Hzrdus Red. Damn this thing sounds phenomenal. 16 yards better than competitors is HUGE. I’m just getting back into the FW wood market and have heard nothing but great things about all the TEE offerings. Great time for consumers. Enjoyed the review. The EX10 is a fantastic FW and this sounds even better! I really like that they went with the HZRDUS as a stock option here as well. Need to go find one to test out. Real thorough review of this club James! As an owner of a EX10 beta fairway wood, I can’t wait to demo this club. Outstanding review James! Really enjoy your insight and value your opinion!! I love me some fairway woods and this one looks and sounds awesome! 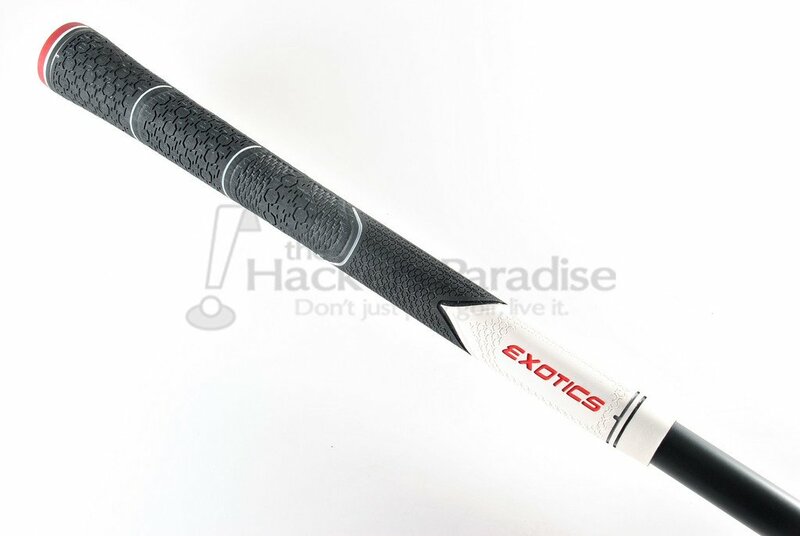 I still remember the first time you let me hit an Exotics 3W back in east Texas and it was wow at first sight. This one looks to be just as good! I really like the look of this fairway. The stock Z5 grip and hzrdus shaft is a great compliment. The low launch low spin would probably have me go in a different direction, however – 155 158 ball speed is no joke and this clearly is a great club in the right hands. I fully agree that the CBX fairways (and hybrids) are absolute low-spin “distance monsters”. I am hitting my CBX 3-wood (13.5* loft with Mistsubishi Tensei Pro Blue 75-S) almost as long as I hit my driver, with average 3-wood distances being 260 to 265 yards, and the occasional shots with it going more than 270 yards. As a Tour Edge Exotics Fitter/Dealer, I was fortunate to get my 13.5* clubhead a couple of months ago, and I have about 12 to 16 rounds on it already. I thought that the EX10 Beta fairways were really long until I hit this beast. The CBX hybrids are also distance monsters. I had the 18* in my bag, but it was actually going “too far”, so I replaced it with a 20* CBX hybrid, which still gives me a consistent 235 yards. My favorite 3-wood to this point has been the EX10 Beta, which I have hit well since getting it this spring. I’m 68, with a 6.2 index and relatively low swing speed (88-90 MPH) and was concerned that the Exotics CBX would not be suitable. I was wrong. Gamed it for the first time yesterday after several range sessions and noticed a discernible improvement in distance with no appreciable loss in dispersion. The guys I play with regularly noticed the difference as well. The shaft is the HZRDUS Red 5.5 and it’s giving me a mid launch (noticeably lower than the EX10) that is penetrating and strong. The sound is more muted than the EX10 and the strikes felt solid every time. It’s early days but this one feels like a winner. (Just for the hell of it, I range tested the CBX against a CB2 I bought 12 years ago. As much as I’ve loved that CB2 over the years, it couldn’t hold a candle to the CBX. Nicely done, Tour Edge.